At Asphalt Green, we believe sports and fitness have the power to change lives—and we want to hear how it's changed your life! Whether you have adopted a healthy lifestyle, learned the value of teamwork, how to overcome adversity, earned a scholarship, gained confidence, or been inspired by athletics, we want to hear from you. Learn more and get started below. Asphalt Green is a nonprofit organization dedicated to assisting individuals of all ages and backgrounds achieve health through a lifetime of sports and fitness. Community service is at the core of our origin and at the heart of our mission. 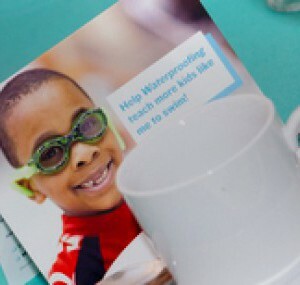 See our mission in action from the Olympics to summer swimming. We are dedicated to helping New York City residents live an active and healthy lifestyle through our high-quality sports, fitness and aquatics programs. Our goal is to inspire a love for sports and fitness while imparting healthy habits that will improve the lives of New Yorkers. Our fee-based youth sports and aquatics program curriculum is built on three tiers—classes, recreational leagues and competitive teams. Our classes teach fundamental skills and then our recreational leagues give athletes the opportunity to put these newly learned skills into action. 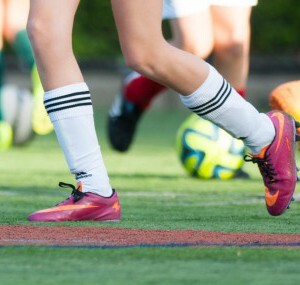 Finally, players progress to our competitive teams where they compete against the best. As a nonprofit, we are committed to bringing the same high-quality instruction of our fee-based programs to our free community programs. We deliver free and low-cost community programs to nearly 50,000 children and seniors annually in schoolyards, gymnasiums, community centers, and pools across New York City. In addition, we provide scholarships for our fee-based programs to talented individuals with financial need. Learn more about how we put our mission into action through our community programs, special events, and scholarships below. We’re keeping New Yorkers active and healthy through our free community programs that run all across the city! Asphalt Green gets the community moving through four annual free events. 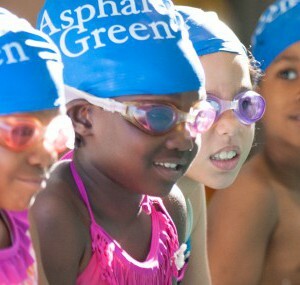 Asphalt Green provides scholarships to talented youth athletes with financial need.